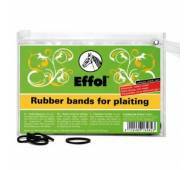 Effol Non-Snap Plaiting Bands are made from super elastic material which prevents mane tangling and split hairs. Provides a guarantee of no damage when plaiting the mane. There are currently no questions for Effol Non-Snap Plaiting Bands - be the first to ask one!